Why do you need to stretch yourself? On your way to success, as you go on achieving your little goals, you tend to become complacent with yourself. You start taking your achievements for granted. You are satisfied with your current situation, so it doesn’t bother you enough to make any changes. Everyday activities don’t make you anxious, keep you comfortable. But why is it important for you to get out of your comfort zone and try new things? You can’t associate success with a single destination, success is a journey. You need to open up and keep pushing your boundaries. Break away from your routine to do things out of order. Activities that fit a routine or pattern tend to minimize the risk factor and provide you with a state of mental stability. A steady level of stress and comfort doesn’t increase your performance quality. To optimize performance, you need have a relative stress level, slightly higher than your normal stress or anxiety levels. The point is, you need to challenge yourself, to accomplish newer results. But pushing too hard can have negative results, and your performance may drop sharply. Everything in the universe has the tendency to return to a neutral state, the state of equilibrium. It is therefore very natural for people to trend towards their comfort zone. But comfort normally kills productivity. We lose the drive to do more, or learn new things. When you push your personal boundaries you tend to get more of the work done, do it sooner, and also find smarter ways to do it. 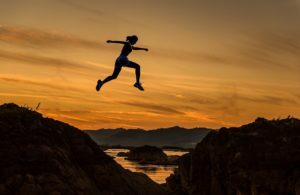 By taking risks and challenging yourself to things you normally wouldn’t do, you can experience uncertainty in a controlled, manageable environment. It is easier for you to deal with complicated and unexpected changes. Trying new things makes us realize our old mistakes, work upon them, and challenge newer ideas. We tend to question things we were otherwise made to believe. We tend to tackle our problem in a newer light. There is an overall self improvement. What will it take to finally make the changes you need to succeed? What fears are stopping you? When you job and your life no longer offers you anything new, when you will be bored with your daily routine. So try doing your everyday activities in newer ways. Take time while making decisions. Identify your weakness and deal with them step by step. Most importantly, trust yourself. Visiting new and different places is perhaps one of the best ways to really broaden your perspectives. There is no point just liking what you do. You need to get obsessed with it. Get obsessed so that you discover your creativity, you discover your true strengths and weaknesses, you discover your passion, and you grow. Growth is important. Growth helps you truly live your life. So come out of your little nest and explore the world. The universe is infinite and full of opportunities. Don’t be afraid to give up something good in order to achieve something better. And if it makes you nervous, you are going in the right direction. Don’t be smug. Don’t let your comfort zone drag you down. ‘Cause magic happens beyond your comfort zone.